Four Season Wild Bird Food is blended for year round feeding and formulated to attract the widest variety of songbirds. This blend of sunflower seed, millet, cracked corn, and milo will attract your favorite songbirds year round - in the winter when natural seeds are scarce, spring and summer for hatchlings, and autumn to give energy to the migrating birds. 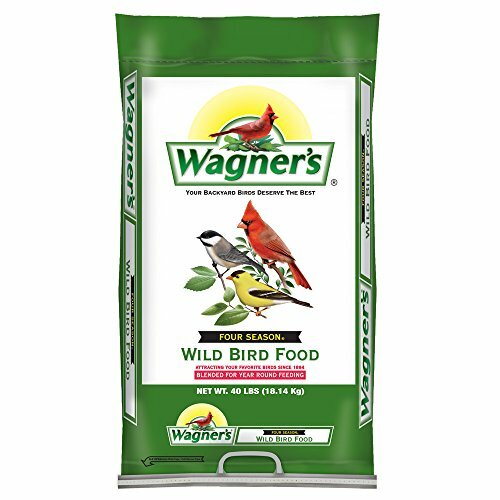 Wagner’s Four Season Wild Bird Food is a great value and you are sure to keep them coming to your backyard for more. Trust your backyard birds to the experts at Wagner’s. If you have any questions about this product by Wagner's, contact us by completing and submitting the form below. If you are looking for a specif part number, please include it with your message. Forti-Diet Cockatiel Food 5 Lbs.